I know - this recipe title seems like a mouthful, and a weird combination. But it is quite delicious and unique. I first noticed this recipe on Pickles & Honey, a wonderful food blog. I was intrigued. I don't know if I've ever had olive oil in my ice cream. 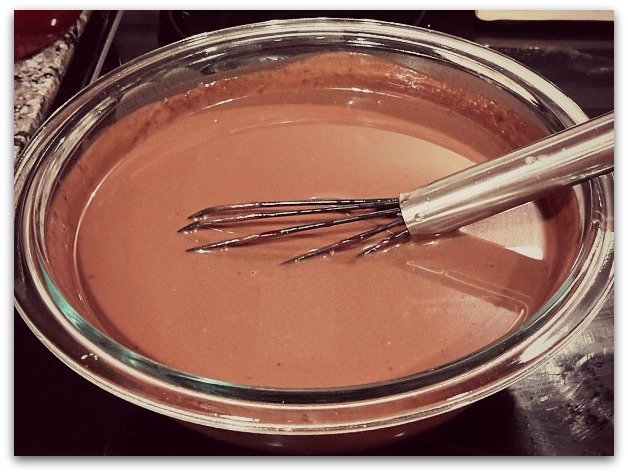 I've read that it helps to make chocolate richer, like in cakes and sweets. Why wouldn't it do the same in ice cream? This recipe is super creamy. I highly recommend eating it the same day as you churn it; it will be easy to scoop out and it will melt in your mouth. If you make it for company, they won't be able to guess the mystery flavor! 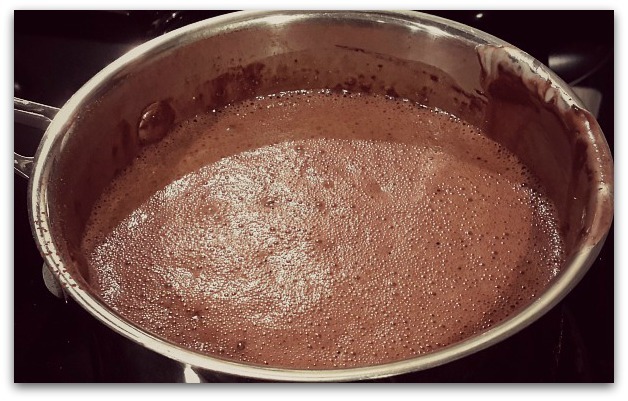 In a small saucepan over medium heat, mix the coconut milk, cocoa powder, sugar, maple syrup, and salt. Bring it to a boil and let it simmer for a minute or two. Make sure all of the cocoa powder and sugar is dissolved. In the mean time, grab a heat-safe bowl, like Pyrex, and put it on the counter. Measure out your olive oil and bourbon in a small cup. Once the mixture is done, pour it into the bowl. Whisk the olive oil and bourbon in, until everything is combined. Allow it to cool on the counter for 45 minutes. After, cover it and place it in the fridge overnight. When you're ready to churn, get your ice cream maker out and start churning! Pour the mixture into your ice cream machine and churn as directed. For mine, I churned it for about 20 minutes. Once it looks like soft-serve, it’s ready to be scooped out into a freezer-safe container. Be sure to let it set a minimum of 4-6 hours. If you don't eat it the same day, you need to allow it to sit out for about 45 minutes before scooping. Enjoy this rich recipe and let me know how it goes! This blog post contains Amazon Affiliate links. I would never recommend a product that does not meet M&M's standards.